From virtual assistants to social robots, people are increasingly interacting with intelligent and highly communicative technologies. This shift from communicating with people to communicating with machines challenges how scholars have theorized and studied communication. Human-Machine Communication: Rethinking Communication, Technology, and Ourselves addresses this transition and the implications of this evolution for communication research. 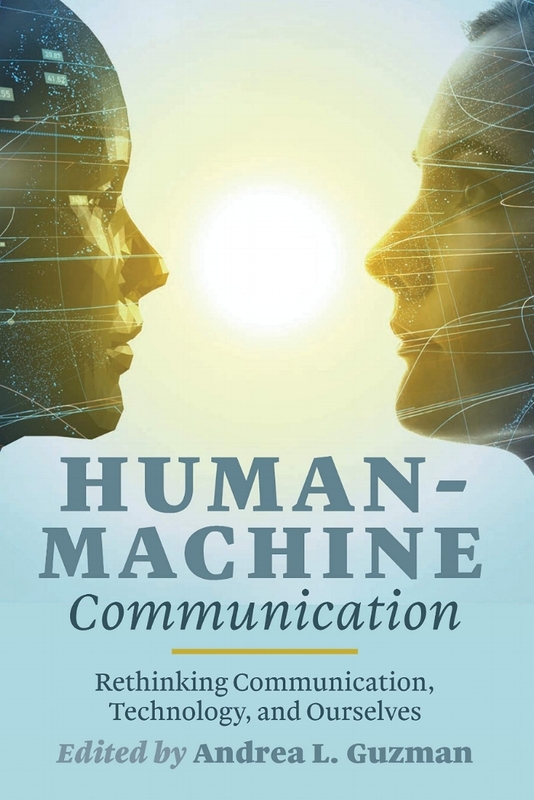 This book is an introduction to human-machine communication (HMC) as a specific area of study within communication (encompassing HCI, HRI, and HAI) and to the research possibilities of HMC. Topics include: defining HMC, theoretical approaches to HMC, and applications of HMC. The research presented here focuses on people’s interactions with multiple technologies (artificial intelligence, algorithms, and robots) used within different contexts (home, workplace, education, journalism, and healthcare) from a variety of epistemological and methodological approaches (empirical, rhetorical, and critical/cultural). Overall, Human-Machine Communication provides readers with an understanding of HMC in a way that supports and promotes further scholarly inquiry in a growing area of communication research.